Table Top series | KANTO KONGOKI INDUSTRIAL CO.,LTD. 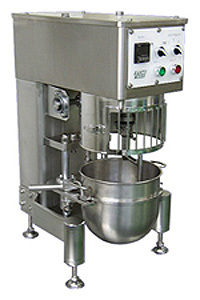 This compact and table top type mixer can be used for various purposes. Inverter control allows free setting of mixing speed/time. Optimal for sample making at a laboratory. Stainless steel construction enables use with confidence in terms of hygiene.